San Francisco, CA – VIZ Media, LLC (VIZ Media), the largest publisher, distributor and licensor of manga and anime in North America brings back the celebrated manga (graphic novel) series for THE LEGEND OF ZELDA on November 1st, 2016. THE LEGEND OF ZELDA: LEGENDARY EDITION is a new series of 2-in-1 releases of the classic 10-volume fantasy adventure. THE LEGEND OF ZELDA: LEGENDARY EDITION each contain two complete volumes of THE LEGEND OF ZELDA manga series, presented in a deluxe format featuring new covers and color artwork by creator Akira Himekawa, and will be printed in a larger 5-3/4” x 8-1/4” format. 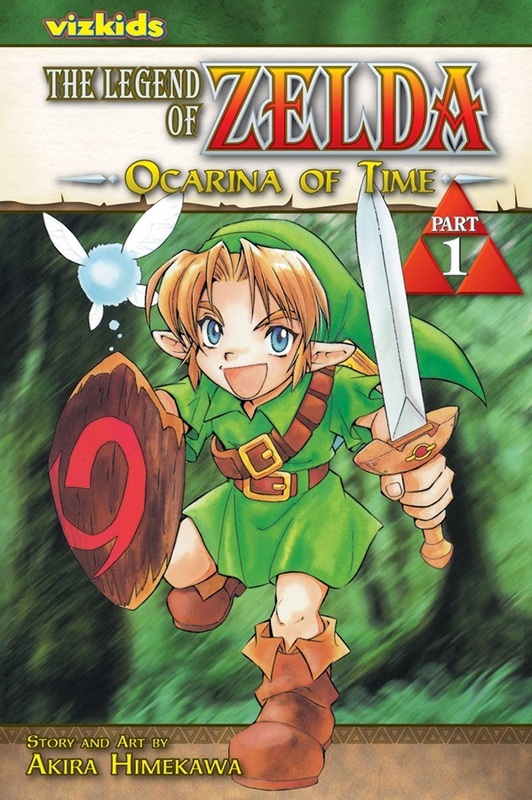 THE LEGEND OF ZELDA: LEGENDARY EDITION Volume 1 contains THE LEGEND OF ZELDA: OCARINA OF TIME Parts 1 and 2, and is rated ‘A’ for All Ages. The release will carry a print MSRP of $17.99 U.S. / $21.99 CAN. Future iterations of THE LEGEND OF ZELDA: LEGENDARY EDITION will be released bimonthly for a total of five volumes. For more information on THE LEGEND OF ZELDA and other anime and manga titles from VIZ Media, please visit www.VIZ.com.